Bimini provides Shelter from sun and weather increases enjoyment when out on the water and provides protection and shelter when back in the marina or on anchor. Adriatic Lux Marine Canvas manufactures a range of high quality Biminis for different types of Sailing Boats or Powerboats. 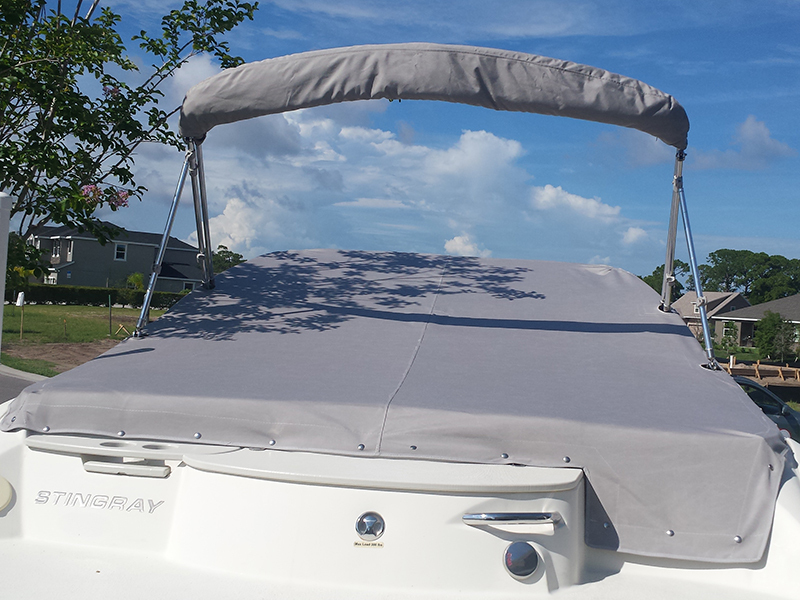 We have designed stylish and most importantly functional Bimini that will give you as much shade as it can. Our Biminis will give you comfort and protection together with high quality materials and great looking addition to your boat. They provide comfort at the helm and protection from the sun, offering effective protection to both the captain and crew. We use high quality fabrics that can withstand harsh elements in the toughest marine environments. Most sailing yacht Biminis come with a roof window as standard, features you are unlikely to find in competitors’ products, like zipped pockets for easy remove . 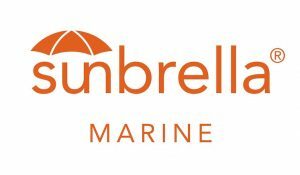 All our Biminis are designed with high quality products, we use Sunbrella UV resistant fabric, Solar Fix PTFE Thread, so your Bimini will survive even Florida Sun for long time. Our custom frames we build with high quality 316 stainless steel tubing and solid cast stainless fittings. Our Biminis can be further enhanced with the addition of optional Side Shade Panels or can even be converted into a full Sailboat Enclosure. Adriatic Lux Biminis come in a wide variety of colours and specifications to suit both your personal preference and boat features. Our Custom made T-top Canvas Cover are made for Marine Grade material as Sunbrella or Stamoid are , reinforced seams, Solar Fix PTFE UV-resistant thread, and marine grade rust-resistant grommets and fasteners. Every Top has extra canvas reinforcing the areas where the T-top frame or Radar come into direct contact with the canvas. If you need more shade – no problem. We could build custom SS frame for T-top Extender that could be easily installed or removed. A good fitting, well designed dodger can make all the difference to the look and performance of your yacht. Adriatic Marine Canvas designs and builds dodgers that are strong, practical and attractive. We can recover your existing frame or bend a new one to enhance the lines of your boat. Dodger screen covers can also be provided to prolong the life of your dodger. A traditional dodger is a one-piece item once it is assembled. The dodger typically fits onto a two-bow frame. Middle section of the forward part of the dodger could be rolled up to allow air-flow at the dock or in fair weather. One of the most distinctive features of a traditional dodger is the lower, more rounded profile. More-rounded frame helps the dodger shed waves and even creates a more aerodynamic profile on the yacht. The sides of a traditional dodger contain a port-hole type of window made of the same vinyl window material used in the forward-facing section. These port-hole windows vary in size and shape but generally offer a bit of peripheral vision to a crew-member who is taking advantage of the shelter of the dodger. California dodgers are sort of convertible dodger. This dodger is a bit taller, and slightly less rounded in shape. The California dodger has a distinct side panel on port and starboard and these panels can be zipped off from the dodger to leave just the windshield and the overhead section allowing for more airflow over the companionway in fair weather. The windshield section could be removed leaving only the overhead section for shade, this creates slightly different requirements for the frame. California dodgers is like the traditional dodger in the middle section rolls up to allow air-flow. The side panels of the California dodger not only zip off to allow airflow but they also provide a more-useful window area due to the shape of the dodger when compared to a traditional dodger. Our Dodgers are designed with high quality products, we use Sunbrella UV resistant fabric, Solar Fix PTFE Thread that will last even longer than the fabric. Our custom frames we build with high quality 316 stainless steel tubing and solid cast stainless fittings. O’SEA Scratch Resistant window sheets from O’Sullivan are the best quality in Clear PVC material. • We use only O’sea glass- a premium, flexible, clear window material with exceptional optical clarity and durability. It is high quality and cannot be compare with roll glass. It is manufactured for maximum UV stability and coated to provide a scratch and chemical resistant barrier. The chemical resistance includes sun tan lotion, insect repellant, and jet fuel vapor. This marine grade clear vinyl window material is perfect for enclosures and dodgers requiring the best in clarity and durability. It is our standard window material. Protecting your boat against the harsh weather is important to prevent your pride and joy from being damaged. A good quality fitted boat cover is essential to protect your Boat and Boat Seats against any water, dirt and leaves, whilst avoiding the damaging effects from the Suns ultraviolet rays. 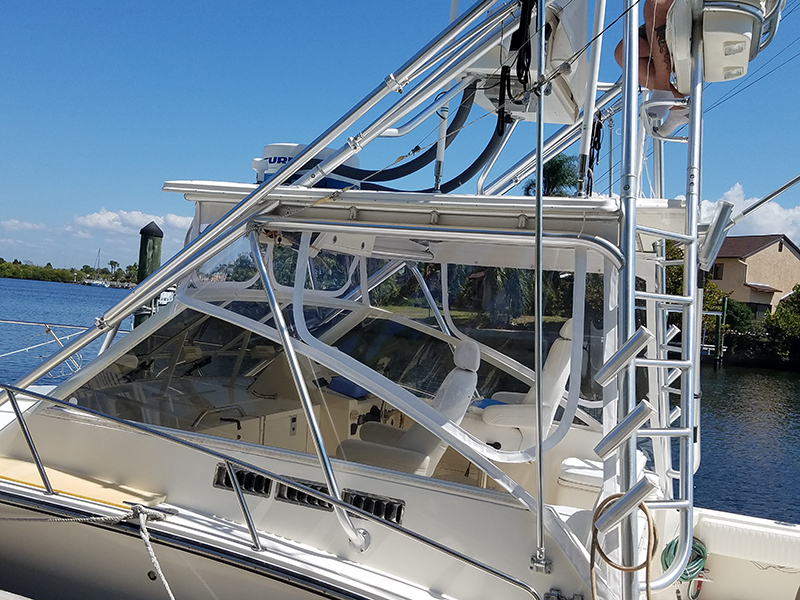 Boat covers are a must for most powerboats to avoid UV exposure for the upholstery, permanently installed navigation instruments, and the fun stuff like the stereo and speakers. These covers pay for themselves over and over again in reduced maintenance and limited wear-and-tear on your boat. Adriatic Lux takes great pride in every boat cover they manufacture and fit. All boat covers are made to order. We work with private yacht, motorboat owners and boat builders. We are making only CUSTOM-Made Boat Covers. It cannot be compare with low-cost covers that you could purchase anywhere and that will last just season or two. Adriatic Lux can manufacture any boat cover design to suit your needs. We use quality boat cover materials that are the best in the industry. Market leading names such as Sunbrella, acrylic coated canvas, YKK Zips and 316 stainless frames are customised to suit. Adriatic Lux tailor make boat covers that will last. We can manufacture a range of high quality Cockpit Enclosures for different types of Sailing Yachts and Motorboats. Our Enclosures are well designed, stylish and most importantly, they work. Good design is everything when it comes to designing a product that is both functional and fulfils your requirements. Our enclosures are made with Sunbrella canvas , O’Sea glass and YKK zips enables us to produce a superior Cockpit Enclosure that can withstand the harsh weather elements. Our Cockpit Enclosures are fully functional, with a high-quality specification that you will find hard to better. They are effective in offering protection to the cockpit and to your crew, and vastly increase your live-aboard space. Flybridge enclosures, raised top enclosures and aft-deck enclosures are just a few of the options that we provide for power-boats. These enclosures, consisting mostly of marine vinyl glass can provide shelter from the elements for you and your mates as well as for the yacht. With the option of making an exterior area of the yacht become an “interior” area. Adriatic Lux will designed enclosure system to suit your boating style and budget. Sun Shade is one of very important additional canvas that you could get from us for you and your family. Florida sun takes everything and you pay toll on everything. These days UV is very strong and no one wants to risk health and skin damage. Boat Sun Shade is best solution for any boater. Our Shades are beautiful made, sophisticate and very easy to installed. WE use only the best shade fabric as Sunbrella Shade,Swela etc that can block sun 80 , 90 and even 98 %. Aft Sun Fly is the ideal way to provide shade for the aft deck of your boat without cluttering things up with a permanent frame. Great for fishing boats and dayboats of all types this unique setup will add a level of comfort without sacrificing utility. A canvas (or similar) screen to protect the crew from wind and spray.